My first pistol ever (left) was a Sig Sauer P239. I still carry it all the time, and more importantly, I trust it. It is one of two semi-autos I own that has never failed in any way on the line (light strikes, failures to feed/eject/extract, whatever else), which puts it in the very rare category of being more reliable than most revolvers I’ve owned. 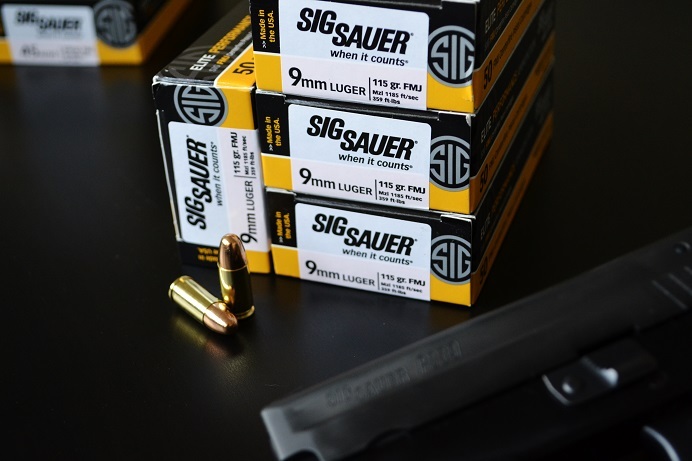 So imagine my excitement when I heard that Sig was bringing that kind of reliability to the practice/training ammo market. This week (3/30/2015), Sig officially introduced their new full metal jacket (FMJ) Elite Performance Ammunition line (which was announced back in January at SHOT). In the coming weeks, Sig’s FMJ offerings will be expanded into 100gr .380Auto, 115gr 9mm Luger, 124gr .357SIG, 180gr .40S&W, 180gr 10mm and 230gr .45 Auto. And you should see more calibers later this year, so stay tuned on that front. Handgun Planet was lucky enough to get our hands on some of the 9mm and .45 offerings, which are likely the calibers that will start hitting your local gun shop’s shelves first. Although we haven’t made it to the range to test it yet, I have to say that it looks really impressive at first glance. The brass is all consistent, the OAL looks uniform, and the rounds have a nice polish with absolutely no tarnish. I’m aware that the shininess of the cases doesn’t really make a functional difference, but it looks nice and I like the way shiny ammo looks, so there’s that. It also speaks volumes for the first impression that Sig is trying to make when they go that extra mile to make their FMJ practice/training ammunition cosmetically on par with more expensive defense or match offerings from other companies. *Note: The table below will be updated with velocities and stats from different products periodically until I post the full review. .45 was chrono’d through a full size HK45 and 9mm was chrono’d through a 9mm 1911 with a 5″ barrel. 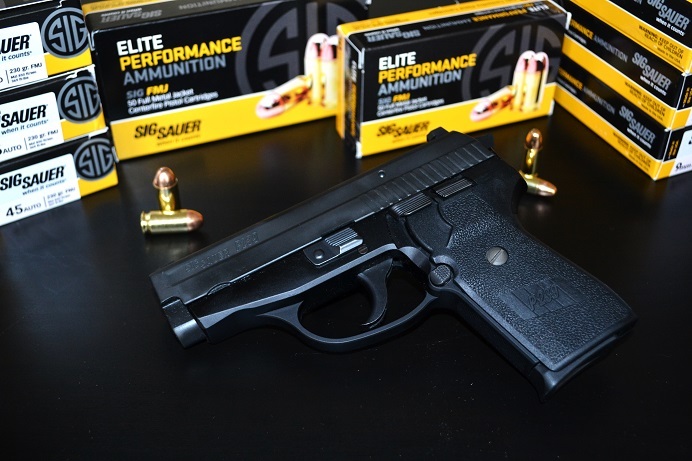 For more information, check out Elite Performance Ammunition at SigSauer.com! 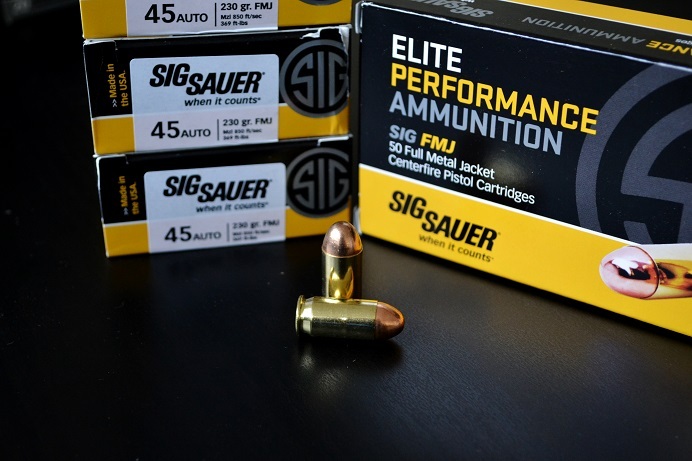 All of the Elite Performance Ammunition is manufactured 100% in the US by Sig Sauer. Thank you to Sig for sending us some rounds to inspect and test.